Founded in 2004, Shopify is one of the leading Ecommerce platforms on the market. Designed with small/medium-sized business in mind, the Shopify system revolves around the idea that simplicity and beauty are two sides of the same coin. For just $29/month, you get access to an elegant, fully personalized online store, reliable hosting services, social media integration and 24/7 support. Shopify has managed to take all the complexity out of Ecommerce site-building, and replaced it with a system so intuitive and easy to use that first-time Ecommerce retailers can make plenty of money off of their online sales. With partners like Amazon, Uber, and Facebook, it’s no wonder that more than 200,000 businesses are using this Ecommerce powerhouse. Ease of use is great, but it’s not worth much if you’re left with a boring online store. This is where Shopify’s attention to detail truly comes to light. With over 100+ professional templates available, Shopify has ensured that every single one of their customers gets exactly what they’re looking for. Keep in mind: while there are plenty of free themes available, there are a few paid themes. Now when it comes to customization, you’re generally given two options: templates or access to the code. Fortunately for you, Shopify went ahead and decided to offer full customization for both methods. If you’d rather stay away from anything to do with coding, your online store will still have that professional, sleek feel. That being said, if you’re looking to edit the HTML and CSS of your online store, Shopify provides you with full access. No matter what you choose, Shopify has some of the most visually impressive website designs on the market. Keep in mind that any customization, even by the code, is for visual design only. Like other major Ecommerce platforms Shopify does not allow you to edit source code to change the functionality of the shopping cart. Sign up for a free 14-day trial or get started with one of three intriguing packages from Shopify. Additionally, business owners can check out Shopify Plus for enterprise-grade solutions or Shopify Lite to interact with customers on social media sites like Facebook. 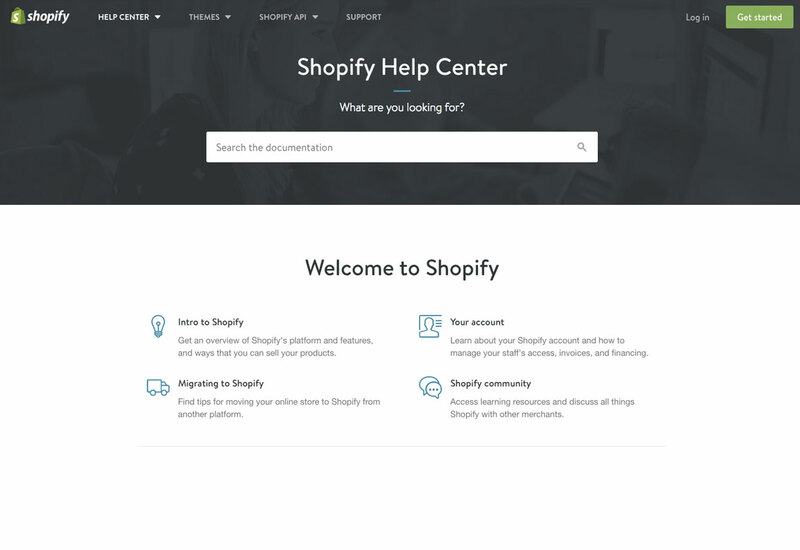 When you consider that simplicity is one of the major selling points of Shopify as an Ecommerce site builder, it’s no surprise how much emphasis was put on integration. This is particularly noticeable when it comes to the payment options that Shopify offers. For starters, your online store will instantly be compatible with more than 70 external payment gateways. From Paypal to Stripe, Shopify makes it easy to accept payment from just about anywhere in the world. Where Shopify really starts to pull ahead of the pack is with their social media Ecommerce integration. By allowing you to sell directly from your Facebook, Twitter and Pinterest pages, Shopify has made it easier than ever before for your customers to purchase from you. Speaking of the importance of social media, the importance of digital marketing is something that can’t be stressed enough, especially if you’re a first time Ecommerce retailer. There’s no denying that Search Engine Optimization (SEO) is a critical component of your site’s visibility on search engines like Google and Yahoo. Realizing the importance of having a holistic approach, Shopify made sure to provide support for the most effective SEO practices. Customizable H1, title, and meta tags are all supported by Shopify’s site-building software. Beyond that, Shopify has incorporated SEO-friendly product reviews into its platform. There’s not much beyond that basic functionality with Shopify’s native SEO tools. However, there is an extensive app marketplace where you may be able to add SEO specific apps to your store to help improve your organic search visibility. 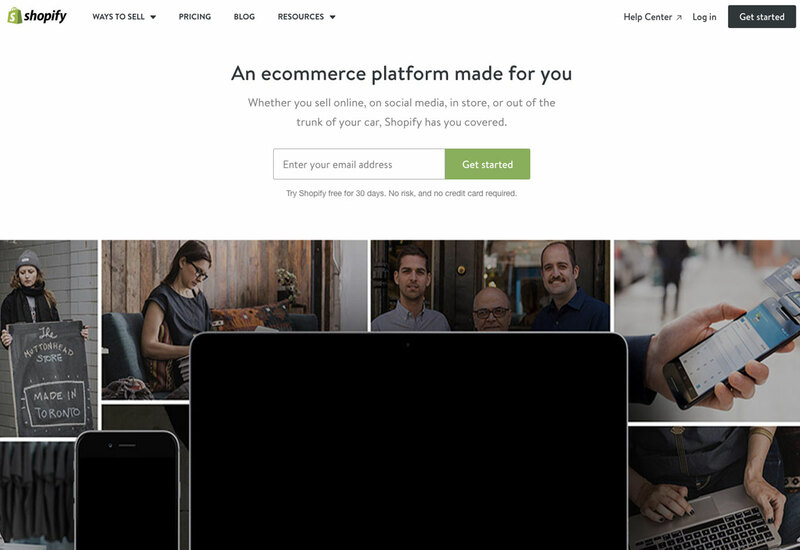 This might be the most impressive aspect of Shopify’s site building software. Having a beautiful website design may be valuable, but having a store that provides you with peace of mind is truly priceless. Forget about the fact that hosting protects both your business and your customers from cyber attacks. The main concern that small businesses have when it comes to their Ecommerce store is experiencing downtime and tarnishing their brand. When you consider that a spotless reputation can be ruined by a website crashing on Black Friday, it’s no wonder that retailers are looking for guarantees. While Shopify doesn’t pretend to be perfect, it has gotten pretty close. Historically, Shopify has had 99.99% uptime. Your Shopify plan also comes with daily backups of all your information, an secure socket layer (SSL) certificate to keep your customers’ information safe and completely unlimited bandwidth. Aside from having 24/7 monitoring for downtime, Shopify understands that problems can arise at any time. Shopify has a dedicated support team that’s available 24/7, by phone, email or live chat. For problems that are less urgent or if you’re just curious about something, Shopify has tutorials, user guides, ebooks, webinars and plenty more. No matter what your problem, Shopify seems ready and willing to help you push through it. Shopify is designed for both Ecommerce experts and beginners alike - making it perfect for scalability. Its fully-customizable online stores are ready to adjusted as you require and your business grows. You can never have to worry about changing to a new Ecommerce platform as you can access unlimited bandwidth, and you can import or export product data in a click. There’s no limit on the number of products you can sell with unlimited product inventory and unlimited customer data ensures you profit from every interaction in your online store. Shopify has received glowing recommendations from the Ecommerce world, and it’s easy to see why. Behind the scenes, Shopify is an efficient, reliable service that understands the importance of consistency. If you’re a budding Ecommerce retailer, Shopify is going to be your best bet. Its website designs manage to be user-friendly and highly customizable all at once. It’s simple, thorough, and easily one of the best values for launching and maintaining an online store.